Byways Breaks have been arranging UK cycling and walking holidays for more than 20 years and while we have grown steadily, we remain a small, family company that specialises in Wales, the border area and the north west of England. We are keen walkers and cyclists ourselves and understand the difference between an okay walking or cycling break and a great holiday and experience. We know the area well and it’s our local knowledge along with attention to detail that helps to ensure your cycling or walking holiday runs smoothly and is thoroughly enjoyable. We know the best places to stay, and our cycling and walking routes are carefully planned to explore the most beautiful countryside, visit places of interest and stop at the best pubs and tea shops. We spend a lot of time selecting the places to stay in the UK and they are all places we would be happy to stay in ourselves. We have excellent relationships with the hotels and B & Bs we use. It is important to us that you enjoy your holiday. 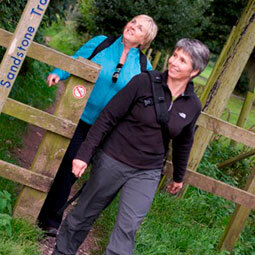 We offer friendly and helpful advice, enabling you choose the walking or cycling holiday which best suits you. We get excellent feedback from our customers and many of them return to book with us bookings, as well as recommending us to their friends and family. 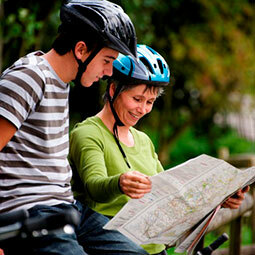 We have many people who have now done several cycling and walking holidays with us over the years. We have visitors from all over the world as well as from all parts of the UK. 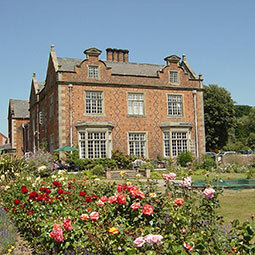 Byways Breaks is based in the north of England. 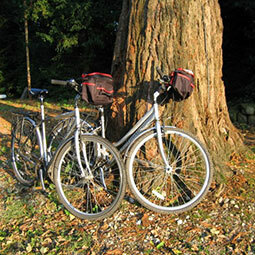 Our office is in Liverpool and our bike base is near Delamere Forest, not far from Chester.